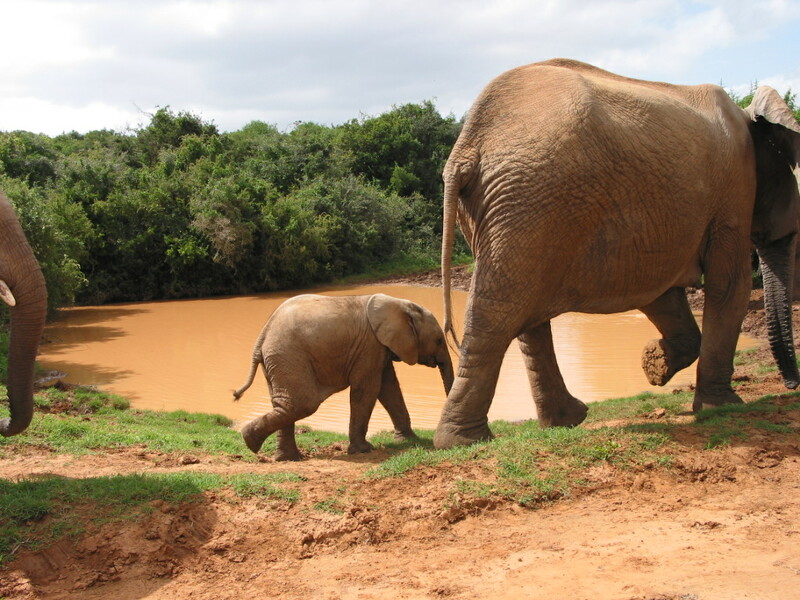 Elephant Herd at the Watering Hole | Addo Elephants – Find Addo Accommodation. It had been quite rainy in the weeks before we visited the park. As a result, the vegetation was green and lush, there were lots of exposed watering holes, and the animals were pretty active. As we pulled up to a watering hole near the road from one direction, a herd of female elephants with their babies approached from the other. They spent quite a bit of time drinking and playing in the water just a few feet from us. The babies were obviously learning how to use their trunks to drink by mimicking their mothers. We were amazingly lucky to see this!